"Once Upon A Suite Life"
OK, so here is the show, Miss Tutweiller is teaching the class about the Brothers Grimm and their Fairy Tails. The entire class falls asleep and dreams they are in different fairy tails. What else do you know? Do you know the show like I do? PROVE IT! All the questions pertain to the first two seasons of The Suite Life On Deck. See if you can get them all right. 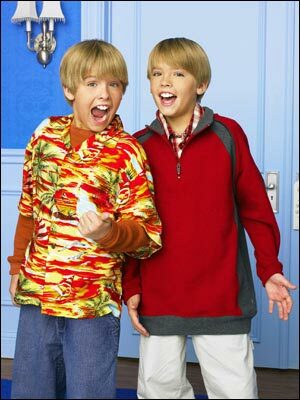 The Suite life of Zack and Cody! Do you think you know everything you need to know about this devilish double act? Then try this quiz! Take this quiz to see if you know all (not really) about the Suite Life of Zack and Cody! What do you know about The Suite Life? Do you think you know all about " The Suite Life of Zack and Cody "? Take this quiz and find out! This quest determines if you know the suite life well or don't know anything about it!